Since Brexit, the UK is building fewer cars for the local market. LONDON -- Britain's automakers are starting to feel the strains of Brexit as output this year is likely fall short of the industry's expectations, the head of the leading UK group in the sector said. 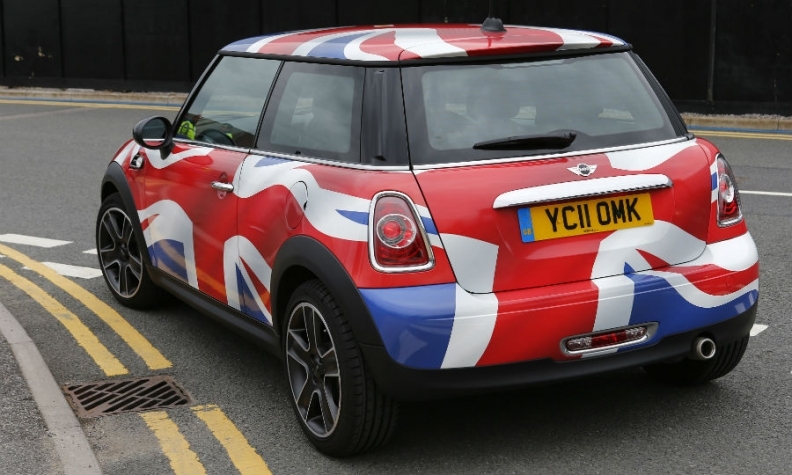 The British government needs to say now what its plans are for the sector when the country quits the European Union in 2019, said Mike Hawes, CEO of the Society of Motor Manufacturers and Traders. The number of cars made in Britain in June fell by almost 14 percent year-on-year to 136,901, the SMMT said on Thursday. That left first-half output in a sector down nearly 3 percent at 866,656 units. Although that represented the second-highest January-June performance in 12 years and production is likely to rise later in the year, output in 2017 would probably be closer to 1.8 million units than a previous forecast of 1.9 million, Hawes said. Britain's car industry has boomed in recent years with manufacturers such as Nissan, Toyota and Honda investing heavily in the country as a base for selling to the rest of the EU and beyond. More than half of the cars exported from Britain go to the EU. But last year's decision by voters to leave the bloc has left the industry exposed. The EU has tariffs of 10 percent on car imports, posing a risk if Britain leaves in under two years' time with no new trade deal in place. The impact of the referendum on the country's consumers is another problem for carmakers. Households have been pinched by a sharp rise in inflation, caused in large part by the fall in the value of the pound since the Brexit vote. Cars made for the domestic market were down nearly 10 percent in the first six months 2017 while exports -- which account for nearly 80 percent of output -- were roughly stable, SMMT figures showed. The SMMT's long-held target of increasing production to just under 2 million units in 2020 was also in doubt, with changing assumptions about individual company decisions on their models also a factor. Britain could miss the target by 10 percent if it fails to secure an interim deal with the EU, Hawes said. The SMMT, like other British industry groups, wants the country to stay in the EU's single market and customs union as it transitions to a future trading relationship with the EU, something the government is ruling out. "The government has been in listening mode but now it must put on the table the concrete plans that will assure the future competitiveness of the sector," Hawes said. A fall in investment this year was another sign of Brexit concerns, even if some of the drop had been expected after strong levels in recent years, he said. The industry also faces the challenge of shifting away from gasoline and diesel cars. On Wednesday, the government said it would ban such vehicles from 2040 to promote electric cars.